The Pacific Whale Foundation: Don't Miss Their Maui Whale Festival! The great news for us vacationers is that most of the events are recurring - so no matter when we're in Maui during whale season, odds are there will be a few whale festival events for us to choose from and attend! If you happen to be on "the Valley Isle" during Maui whale watching season, be sure to keep an eye on my "Paradise Found in Maui" blog for announcements about festival events going on near you! 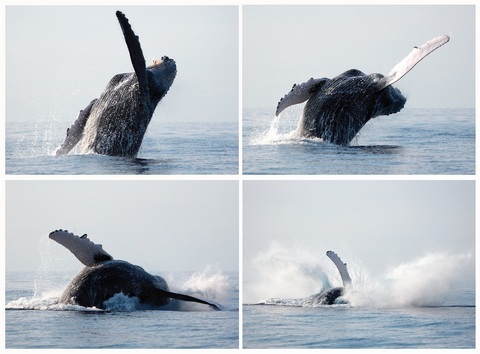 1) Want to go whale watching in Maui but having trouble deciding which tour to take? "Maui Whale Watching Tours: My Top Picks and More!" will help you find the perfect tour for YOU! 2) Get the MOST out of your Maui whale watching experience with "My Top Tips for Unforgettable Whale Watching in Maui"
3) For more events on "The Valley Isle," see our Maui Events Calendar.